Our capacious warehouse is installed with all required amenities essential for safe storage of the products. Furthermore, our warehousing system is efficiently managed by our team of experts. The products are strictly packed and dispatched safely to the client's stated address and that too in the committed time span. 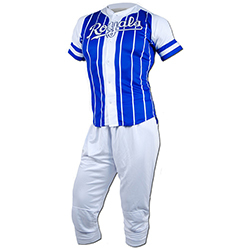 WB-1205 Baseball Uniform is highly soft and comfortable and is available in different designs and sizes.